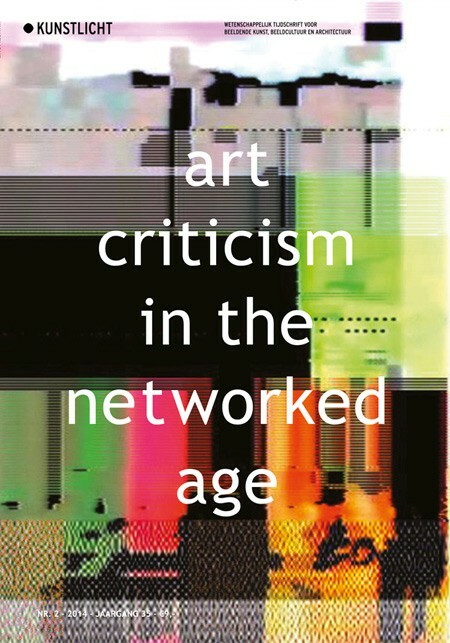 The new issue of the journal Kunstlicht is dedicated to the transformations of art criticism under the impact of digitization. VAMA student Steyn Bergs was one of the driving forces behind this issue, whose contributors are Steyn himself, Bilwet, Sven Lütticken, Niels Post, Sam Roggen, Laurence Scherz and Jorinde Seijdel. Artistic contributions and interventions by Paul Groot, Jeroen Jongeleen, Rosa Menkman en Rafaël Rozendaal. Progressively, more contributions from this issue will be made available on Kunstlicht‘s website. We nonetheless recommend the print issue (which is fully bilingual, Dutch/English).